Terrie Koles Design, LLC is a full service, boutique-sized design and art consultation firm located in Lower Manhattan. Terrie Koles, its owner and founder, is a designer with a background in fine arts (MFA-painting), art direction (print and film), and interior design. TKD has helped clients who's needs range from specific room renovations, to full scale, from-the-ground-up projects. TKD also offers its clients the benefits of working with a designer who has experience in the art world, and who understands of the importance that art has in the designing of a home. Jamie Nesbitt-Weber graduated from Pratt Institute in 1977 with a degree in Interior Design. She has worked with various high end residential firms throughout New York City until she opened her own practice in 1985. Jamie Nesbitt-Weber offers an architectural approach to her interiors with an emphasis on quiet elegance and simplicity. Jamie's spaces blend clean lines of modern furniture pieces with the rich historical details of the surrounding architecture. The spaces result in a warm and inviting environment without overwhelming the architecture of the space. Her portfolio includes a wide variety of spaces which range from a large addition to a historical house in the Boston Suburbs to a small bathroom renovation in a New York City apartment. The success of the firm is built on long lasting relationships with her clientele and their personal referrals. We are Designs By Human, a young and vibrant design studio located in Manhattan NYC. We are best known for our mixture of creative neutrals and fun color selections, creating layered modern looks. I created Designs By Human (aka DBH) to bring my love of specialized design to everyday life. With over 12 years of professional design and construction experience in both urban and rural environments, Designs By Human is able to tailor each project to the client’s specific needs. We get excited knowing that no two projects are ever the same - this gives us the challenge of creating custom and unique details for each clients. We work closely with our consultants and vendors to make sure every project results in a beautiful space for our clients. We specialize in complete interior decorating and design for both residential and commercial projects. We will personally see the client through every phase of the process and manage it with an eye for detail. Our project services include concept and schematic design, design development and construction drawings, oversight in contractor bidding and selection process, and construction and trade management. DesignbyRUCHI is an interior design firm. We provide a wide range of design services from project management, schematic design, material selection, color consultation, furniture layout, kitchens, bathrooms and custom built ins. We work with you from start to end, as you create your wishlist for everything you want your home to be and work hard on your behalf when decisions get overwhelming. We think of all details from trim and sound proofing to grout color and hardware finish. We work within the limitations of budget, dimensions and materials and find ways to make the best of those limitations. It is a collaborative process with our clients and trade partners towards a common goal of a space designed with beauty and function. We can work on a full gut renovation or just a vignette. We love creating beautiful design. So if you think you like our philosophy, contact us and lets talk design!! Manhattan's Award-Winning Multidisciplinary Design Firm. I help create interiors that are open, airy, sophisticated, yet restrained. Renovating can often be an overwhelming experience, both in terms of time and expense. My role as a designer is to serve as a guide, so clients end up with a cohesive space that reflects their taste and needs, with a focus on quality materials and good craftsmanship. We will make the process easy for you, from the creation of a detailed estimated budget at the onset, through the sourcing, purchasing and installation phases. If there are hiccups along the way -which can happen when construction and deliveries are involved- we will address the issues and come up with solutions. 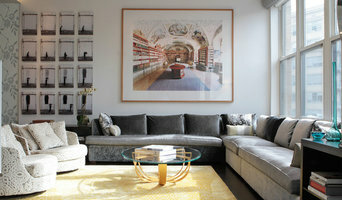 Leonora Mahle, LLC is a full-service interior design studio located in Brooklyn, New York. A native of Brazil, Leonora brings a creative approach to each of her projects, combined with a cultural sensitivity gained from a life-long interest in history and travel. Every project is a dialogue with her clients. Whether modern, traditional or transitional, Leonora strives to offer projects of distinctive character, with an emphasis on quality materials and dedication to craftsmanship. Leonora is a consummate professional, with experience managing projects for top New York design firms. Her training on the construction management side of the business ensures that, along with great design, client projects are executed with attention to detail. She received her professional training at the New York School of Interior Design, and holds a B.A. from the University of Pennsylvania and an MBA from American University. Born and raised near São Paulo, Leonora’s heritage of Brazilian Modernism and indoor/outdoor living is a natural part of her design language. Her German-born father, a composer in her native country, nurtured an early study of music, which along with many childhood trips to Europe both influenced her creative perspective. Born in the Netherlands and raised in South Africa, Ghislaine brings a special blend of international sensibility, intuitive style, humor, irony and refreshing enthusiasm to her work. She is driven daily by her passion for interior design and especially by color. Ghislaine and her team thrive on collaboration and although the backbone of their work is a strong clean refreshing look, they dare to go "off roading" by experimenting with and exploring many areas of design. We are always looking to design outside of the box and bring fun and happiness to what we create. Galo Verdesoto Design Inc. is an architectural and interior design firm specializing in comprehensive design services for high-end, custom residential renovations and interior design/decoration projects. From inception, our mission has been to focus on the quality of our projects and client base rather than the quantity. By design, we are a small and personal firm and will continue to be. This affords us the ability to provide a bespoke approach and highly focused level of custom design services for our discerning clients and allows Galo Verdesoto, the principal, to be intimately involved in all critical aspects of the project, thereby ensuring optimal quality throughout and a unique end result that well exceeds clients’ goals and aspirations for their projects. This level of distinctly personalized service and attention simply cannot be provided by the larger firms. We aim to nurture and maintain a long-term relationship with our clients over several projects and years, and as a result of our strong professional work ethic, passion, positive client relations and commitment to excellence, we have earned a loyal and enthusiastic referral base. Specializing in boutique hospitality and luxury residences, JSE delivers a clean, dynamic and sophisticated aesthetic with sharp attention to architectural detail. 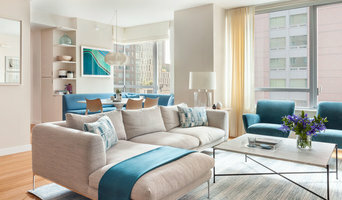 Launching high-profile projects both in New York City and around the globe has made JSE Design one of the hottest up-and-coming firms, earning such notable awards as Houzz.com’s “Best of 2016” and Boutique Design Magazine’s “18 Designers to Watch.” JSE Design is ASID, IIDA, and LEED accredited. 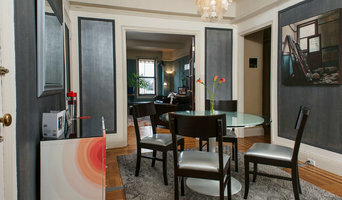 NEW HOUZZ FEATURE ARTICLE: 'Calm and Organized in a Brooklyn Brownstone' <a rel="nofollow" target="_blank" href="https://www.houzz.com/ideabooks/115979738/list/houzz-tour-calm-and-organized-in-a-brooklyn-brownstone">https://www.houzz.com/ideabooks/115979738/list/houzz-tour-calm-and-organized-in-a-brooklyn-brownstone</a> BEST OF HOUZZ 2014, 15, 16, 17, 18 & 19.. Based in Brooklyn, Julia Mack Design specializes in the interior design and decoration of residential and small scale commercial projects. Projects range from an hourly mini-design session tailored to optimize furniture layout to more comprehensive interior design and planning often including kitchen and bathroom renovations. All projects are under the direction of me, Julia Mack. I have graduate degree in interior design and over 15 years of experience in the residential design industry. Let’s chat…Initial design inquiries begin with a telephone call where we discuss your project requirements and goals, planning and budget. From there we schedule an initial consultation at your home to review lots and lots of design ideas. I’ll measure and sketch your space and together we’ll page through a book of design images that I tailor to your planning requirements. We’ll have a lively discussion about what you like and dislike about your space. We have the same goal: creating a space that you love to live in that functions well and looks beautiful. So, are you ready? Here’s my number: (646) 362-5159, Give me a call or if you are feeling a bit uncertain, just fill out the inquiry form on this website and I’ll call you instead. Either way, it will feel great to live in a well designed space that makes you happy to call your home. MDA designgroup, a NYC–based design firm, provides its clients with innovative planning, architecture and interior design services. Our passion for excellence is evident in our work which is distinguished by design clarity, innovative problem solving, and attention to detail and proportion. MDA’s approach delivers solutions that respond to the client’s program and to the project’s unique context. Our design approach respects tradition and marries it with modern elements that serve our lives today. The size of the firm permits our principals to remain actively immersed in each project, working collaboratively with our clients throughout the course of each project. We take pride in being active listeners and respectful partners. Our responsive approach and collaborative process ensures that your project satisfies your objectives and discovers hidden opportunities within its constraints. Atelier 616 Interiors, LLC provides a wide range of commercial and residential interior design services. Whether it's an engaging office environment or a comfortable family retreat that you seek, Atelier 616 Interiors, LLC helps you craft your dream space. We thoroughly assess your needs, & offer you design that is a unique expression of your personal style. Great design is within your reach with our exceptional service, total design flexibility, & value. For Brooklyn-based designer Vera Zalta, the passion is in the process as she watches her vision come to life. Everyone knows the saying “necessity is the mother of invention.” It sums up how Vera Zalta discovered the designer within – and launched a successful interior design career spanning nearly 15 years. In 2001, Vera and her husband bought a larger house to accommodate their growing family of six. To help with rising expenses, Vera took a job selling carpeting at a nearby store. “Though I learned the technicalities quickly: how to measure, estimate yardage and price, order, and draw a room to scale with an architect’s ruler, I found myself more and more drawn to the design aspects,” says Vera. Single carpet samples inspired her to create entire spaces, as she slowly discovered her inner artist. “I saw the transformation. Tired rooms became vibrant through my selections of fabrics, colors, textures, paints, rearranged pieces of furniture,” she says. An ad in the local paper for Vera Zalta Designs led to her first job: redesign the living room, dining room, and foyer for a spacious center hall Colonial in Belle Harbor, NY. A thrilled client led to a total redesign of a neighboring beachfront mansion, followed by numerous word of mouth references. Business blossomed. “I never had to place a second ad,” says Vera. Since its founding in 2002, Vera Zalta Designs has designed single family homes and upscale apartments at some of Manhattan’s most prestigious addresses (i.e. Grand Army Plaza), Brooklyn, Long Island and along the Jersey shore as well as for multiple commercial facilities – restaurants, doctor’s offices, nursing homes. All have a common thread: a well put together space that's cohesive and eye catching. “Setting up a room for the final reveal, I see my vision come to life. When the different components work together in harmony, it makes me feel like I’m bursting with a sense of accomplishment and satisfaction. It’s such a bonus that the client loves it too.” “My career found me! I may never have known how much I loved designing, if I hadn’t been faced with necessity,” says Vera.